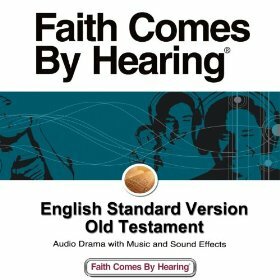 Usually when one desires a dramatized audio version of the Bible they need to pay a hefty price for it. Thanks to a ministry called Faith Comes by Hearing, you can download for FREE from Amazon the entire ESV Old Testament dramatized with music, different voices, and sound effects. This is quite an amazing deal! If you commute long distances to and from work, listening to a few chapters of this audio Bible would be a great way to hear from God each day. Please share this great offer with others by clicking a share button! Sad that this is only available in the U.S. I’m in New Zealand and would love to have been able to download this. Thank you! That is an amazingly generous offer and I appreciate it! Merry Christmas!